The Bodleian Library, the main research library of the University of Oxford, is one of the oldest libraries in Europe, and in Britain is second in size only to the British Library with over 11 million items. Known to Oxford scholars as "Bodley" or simply "the Bod", under the Legal Deposit Libraries Act 2003 it is one of six legal deposit libraries for works published in the United Kingdom and under Irish Law it is entitled to request a copy of each book published in the Republic of Ireland. The Bodleian operates principally as a reference library and in general documents may not be removed from the reading rooms. All Oxford colleges have their own libraries, which in a number of cases were established well before the foundation of the Bodleian. Historically, the college libraries were entirely independent of the Bodleian. 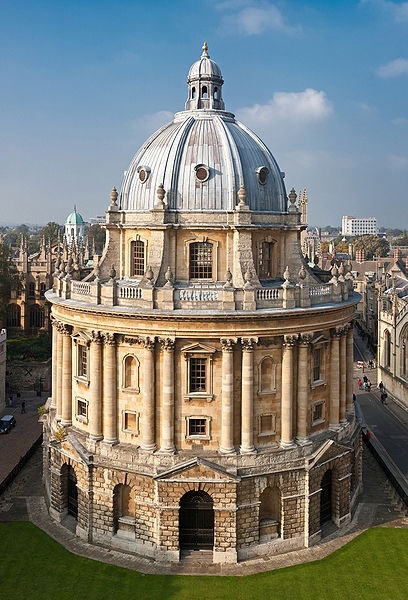 However, recent years have seen them brought together for certain purposes under the umbrella of what was formerly known as Oxford University Library Services (OULS), and now as the Bodleian Libraries, of which the Bodleian is just one.